19 June. 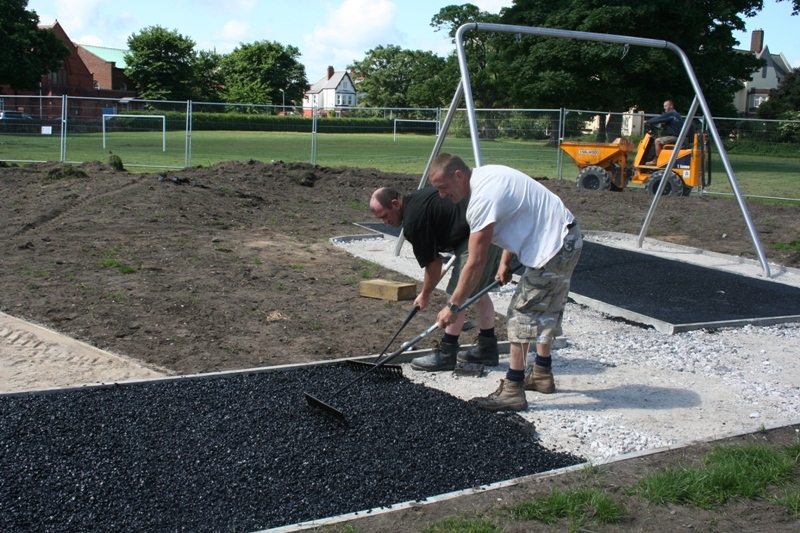 The Planting of Bushes and Shrubs is well underway now. 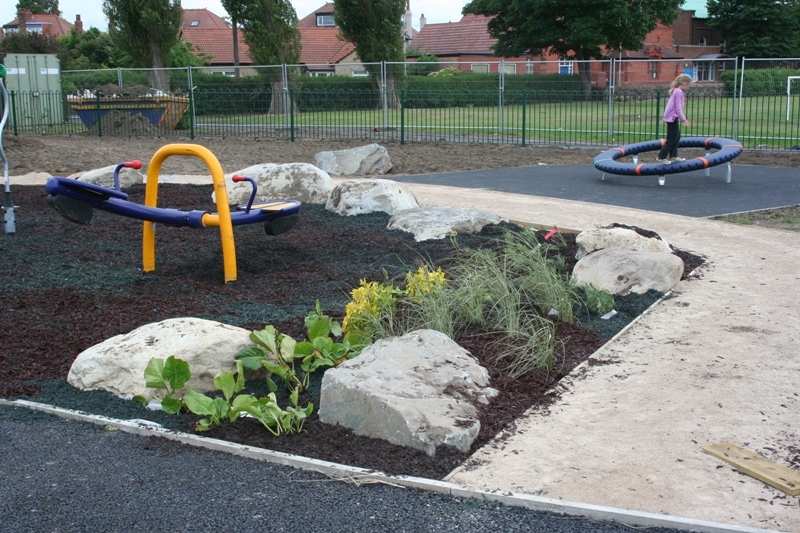 300 Bags of Eco-Safety Surfacing/Mulch arrived and was being spread over the planted areas and around the Spica’s and See-saw. 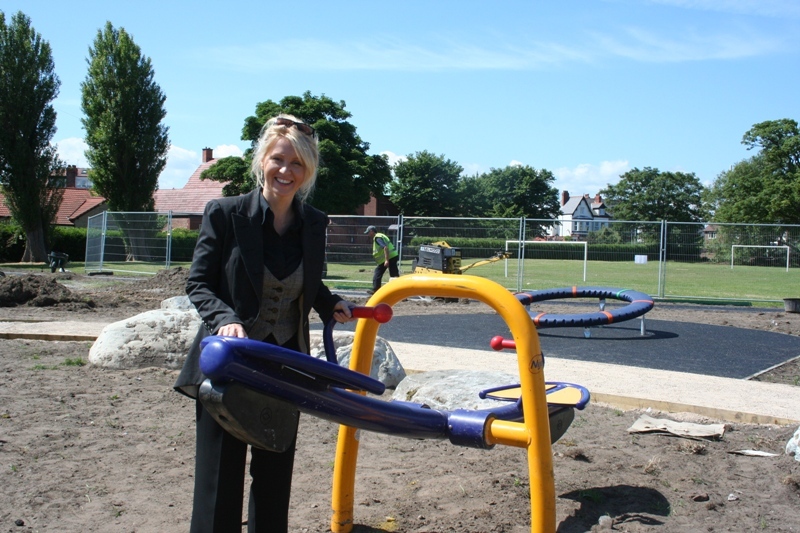 It is a rubbery chip like substance and Meols Park is the first on The Wirral to have this done. 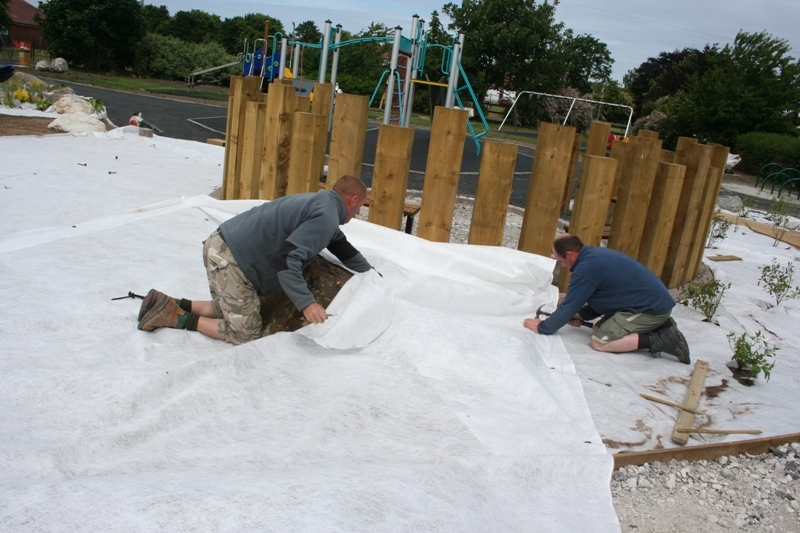 The Playground is really taking shape now with all the new equipment being installed and we just had to test the see-saw before we let the kids on it…..
down a layer of membrane which will be covered by eco rubber/bark like chippings. Ellen Gets Her Wish !! sort it out” and she has. 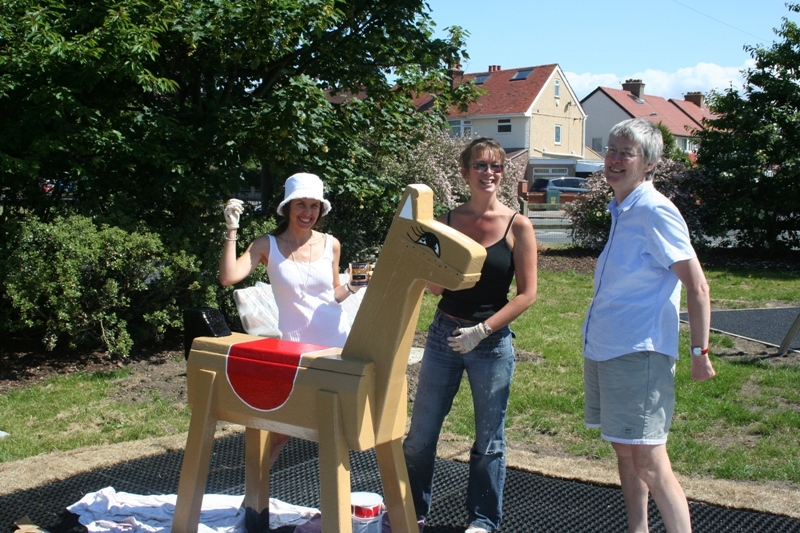 Well done Ellen and also thank you to Jackie and the Parks team. 16th June. 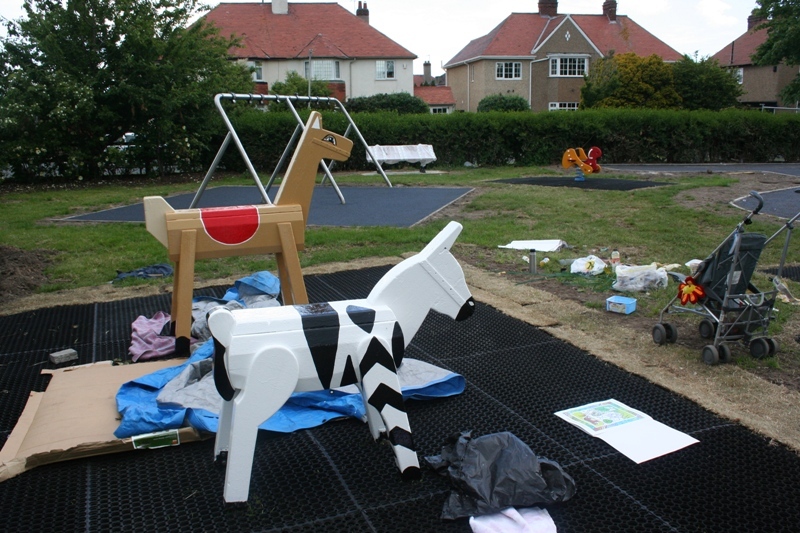 The Animals are back in place now and starting to look better already. 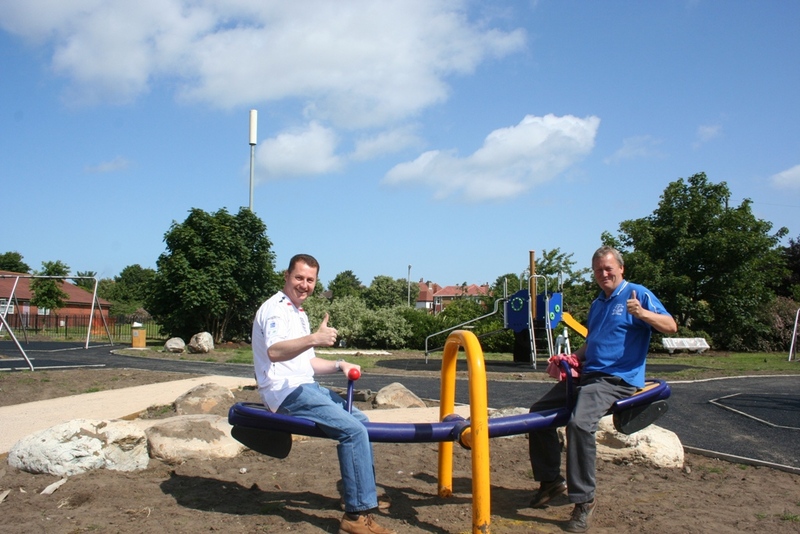 Today we had a visitor from the Big Lottery who checked out our progress so far. 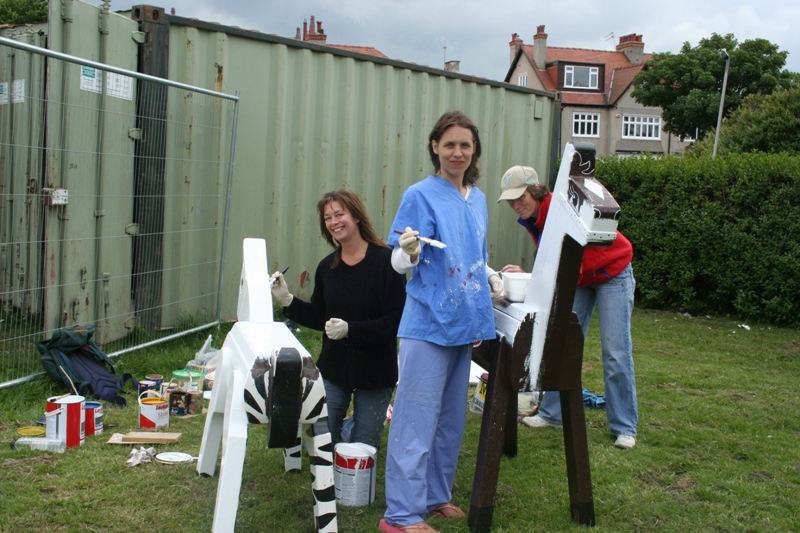 Thanks for coming Catherine and for your support in our project. 14th June. 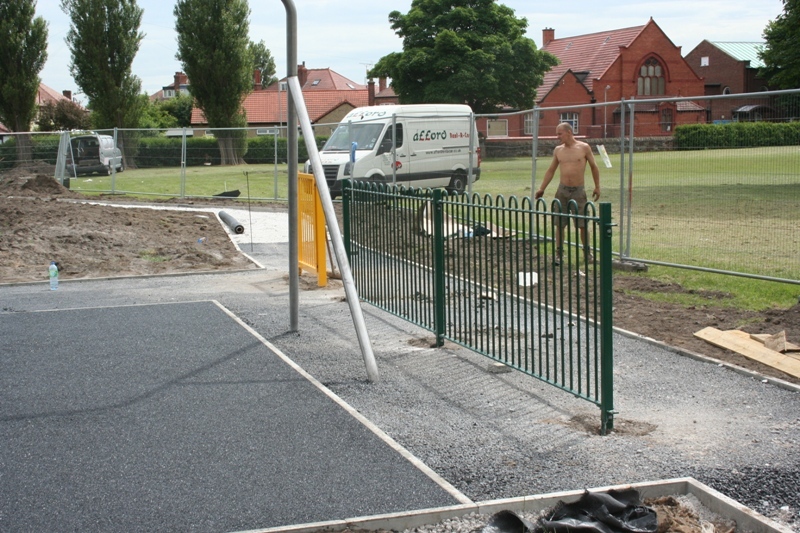 The special Wetpour safety surfacing was being laid today. 11th June. 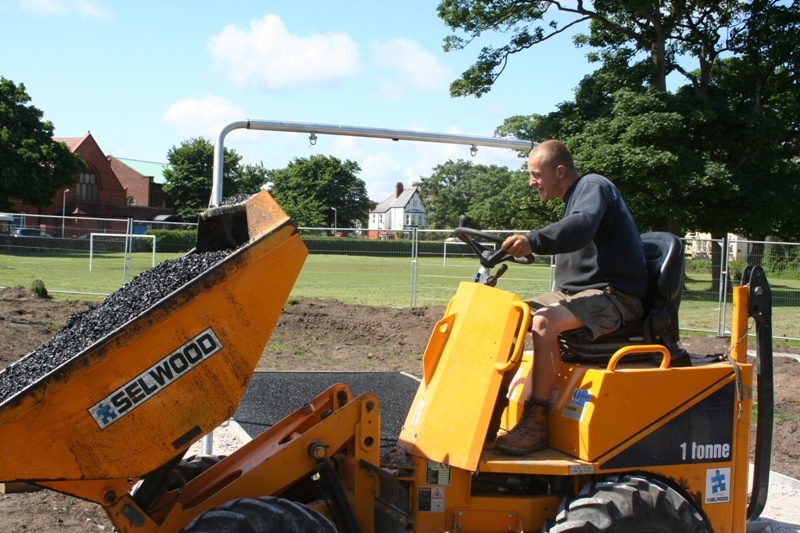 Its all been happening today, the boys from the blackstuff were laying down the tarmac on the new pathways. 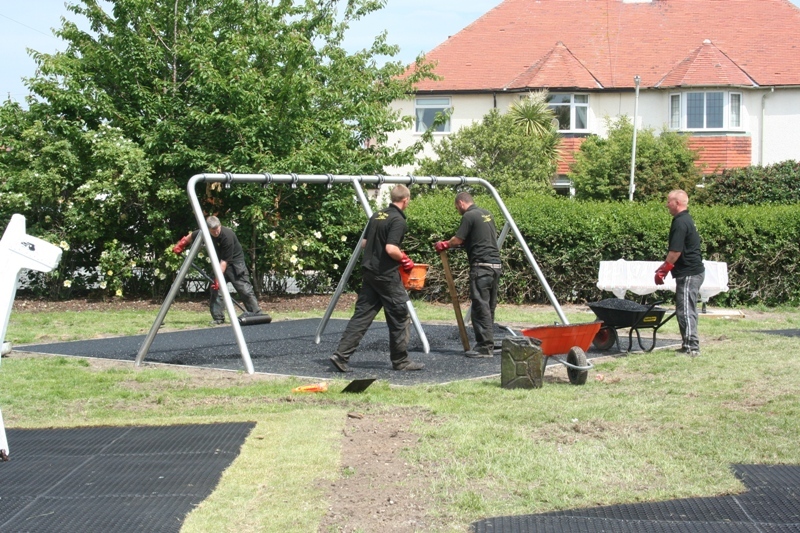 They also topped up the areas under the swing frames in preparation for the wetpour. They are doing a great job and in record time too. 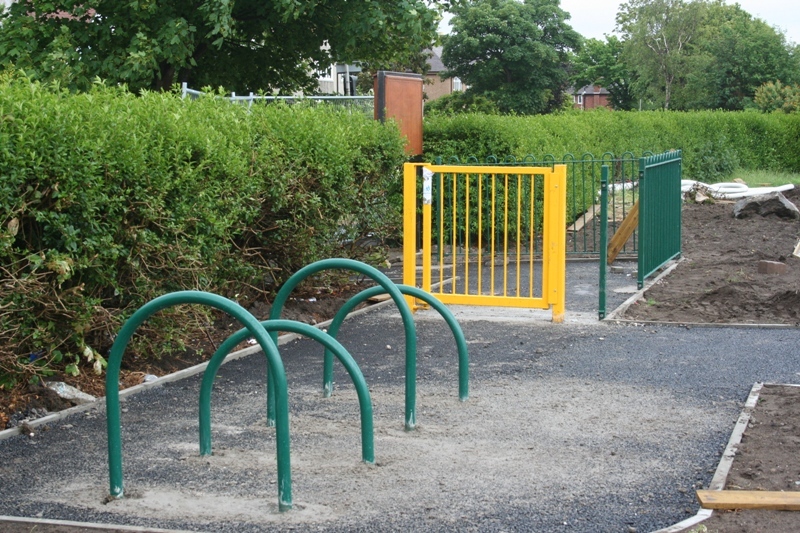 Well done you….